121 key Gebr. Decap organ ‘De Kempenaer’ built in 1938. 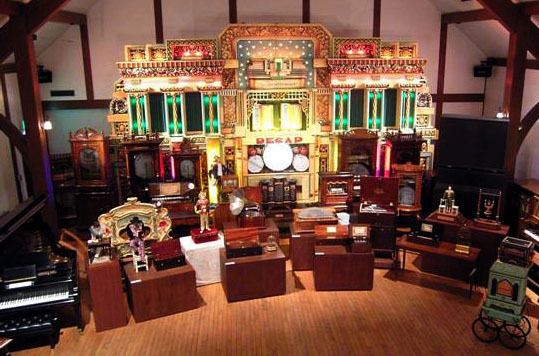 This organ was completely restored by us and is now a featured attraction at the well-known Hall of Halls museum near Osaka, Japan. This is the largest mechanical organ in Asia. We extend our grateful thanks to Taizou Murakami for the use of this photograph. 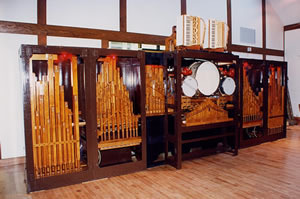 “De Kempenaer” is seen here without its decorative façade, revealing the wide variety of pipework found in such organs. The packing, shipping, unpacking, erection and tuning in Japan was entirely carried out by A C Pilmer Automatic Music Ltd.